I have a set of 3 pictures that all go together. The artist said that the size was stock, but it wasn't. 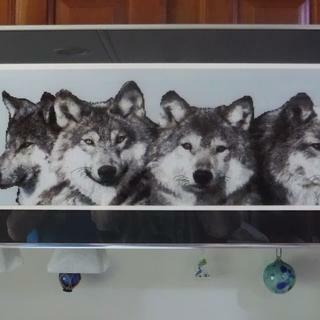 I thought custom frames would be crazy expensive, but then I found PictureFrames.com. I was a little intimidated that the frames came unassembled, but once I started, I put all 3 together in less than 1/2 hour. My pictures look great in the frames so the money I spent acquiring the artwork is definitely worth it. The frame went together and fit very well. There was a small dent in one of the frame pieces during shipping. Stephanie from customer service sent a replacement right out. 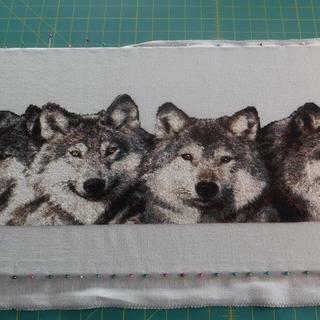 Included is a photo of The Pack. 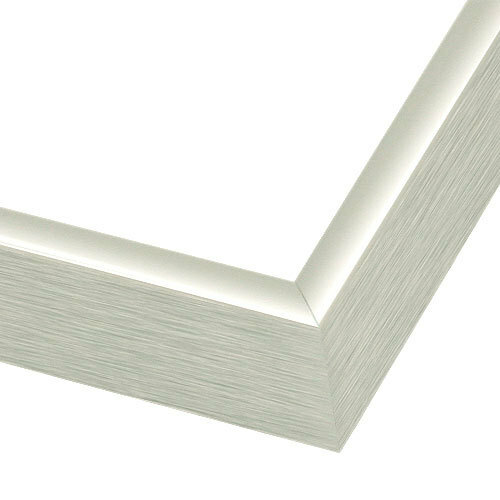 This frame's narrow edge lets the painting shine with little interference. Looks great! I was skeptical that my matted off-size picture would be a perfect fit and also couldn't imagine that the plastic 'glass' would look good. Surprised that the corners matched perfectly on the first try when I assembled the frame, I held my breath and dropped in my art - voila! A perfect fit!! The plexiglass needed no cleaning and looks great! I am so pleased that I have placed a second order to frame more art. The price is right, the quality is excellent, the wait time is short and the result is above expectation. Arrived on time, easy to assemble and looks good. I will buy from pictureframes again. Happy to find a low-cost frame for canvas. Have used these before and they generally look good. Attractive, affordable frame for canvases and available in all the sizes I need. Looks good on just about everything. Easy to put together. Fits a standard canvas depth. It is a classic sleek look, blends well with all decors, does not compete with the artwork. It is canvas depth and can accommodate a stretched canvas. I framed another canvas painting with this frame and it's gorgeous without detracting from the artwork itself! Nearly all my art is framed in this silver or it's gold counterpart. Why? I have a gallery of my work and there are approximately 30 of these pieces on display. It gives the showcase a neat clean appearance. All told, I have closer to 50 pieces in my home. I have people come to take a look. That way I sell something I already have or I magically create something that works for my client's individual taste! The quality of these frames has been the same for 25 years! This is what our client wanted. I wanted something clean and simple that would not detract from the art in any way. Professional company, easy site to work with, always helpful.